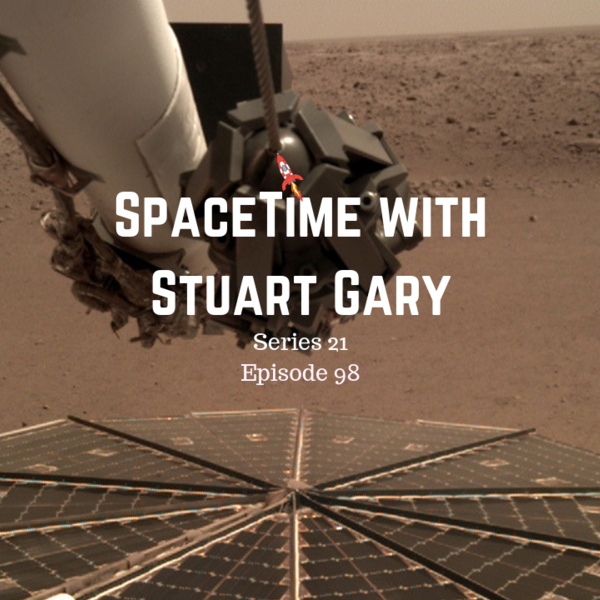 Stream podcast episodes on demand from www.spacetimewithstuartgary.com (mobile friendly). NASA’s Mars Insight lander has sent back the first audio recordings from the Martian surface. New research has discovered that planet Earth formed relatively quickly accreting out of the protoplanetary nebula of dust and gas surrounding the Sun. Astronomers gazing across 321 million light-years of space into a monstrous city of galaxies have discovered thousands of ancient stellar spheres known as globular clusters. China has launched its long-awaited mission to land on the far side of the Moon. Global carbon emissions from fossil fuels have risen sharply for the second year in a row. Autism and ADHD runs in families. Zombie bacteria and some of the world’s hottest living organisms thriving below the surface. Eating as much as you want without gaining weight could soon be a reality. Alex on tech looks at China’s cloud hopper cyber hackers.